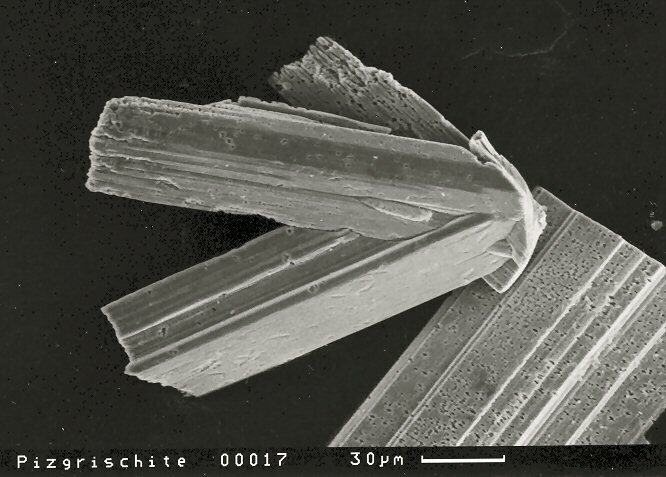 Comments: SEM images of twinned pizgrischite crystals extracted from quartz matrix by treatment with dilute hydrofluoric acid. (CanMin, v45:1229). Location: Piz Grisch Mountain, Val Ferrera, Graubünden, Switzerland.